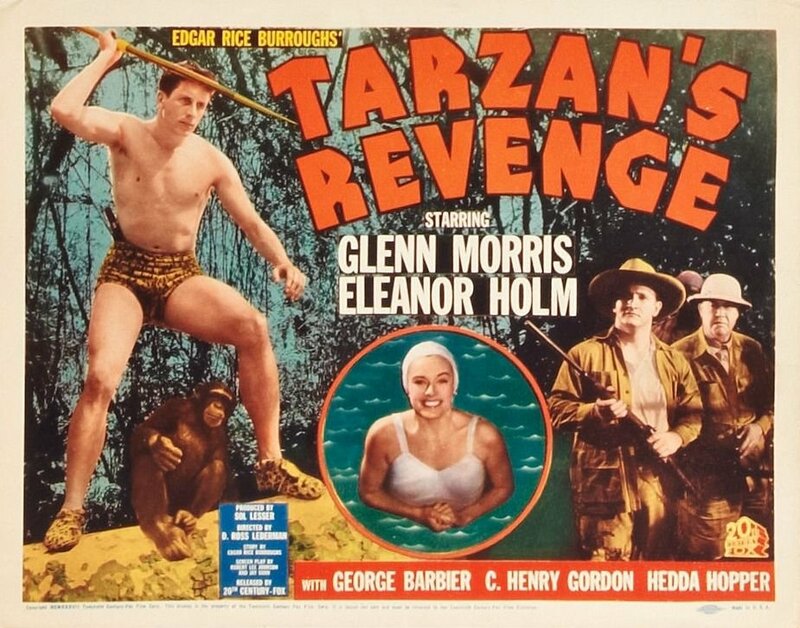 Tarzan's Revenge (1937, 70 min. 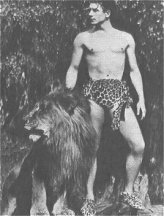 ), starring Glenn Morris and Eleanor Holm, was one of the least-liked Tarzan movies, despite the fame of its athletic stars and its strong musical score by the Austrian-American composer / music director, Hugo Riesenfeld (1879-1939). 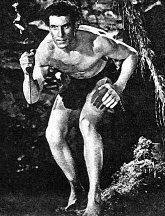 Morris, in his sole Tarzan appearance, is rarely seen. His real fame goes back to the 1936 Berlin Olympics when he won a decathlon medal and swept Hitler's favorite director, Leni Riefenstahl off her feet. She mentions the bizarre blouse-ripping incident with Morris in her memoirs. Production Company: Principal Productions Inc. Filming locations: 20th Century Fox Ranch ~ 20th Century Fox Studio, Los Angeles, California. 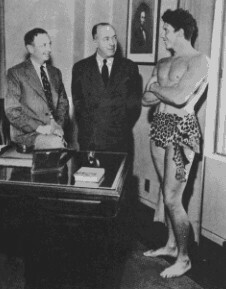 Producer Sol Lesser considered casting New York Yankees baseball great Lou Gehrig as Tarzan, but changed his mind after seeing his legs, which were "more functional than decorative." 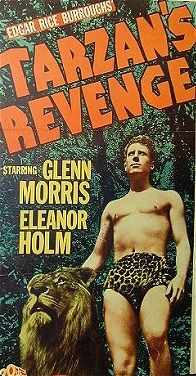 An unauthorized Turkish release of this film years later had a Turkish actor's face superimposed over Glenn Morris' in some scenes. 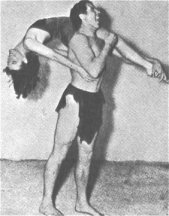 Glenn Morris, the American golden medal decathleta at the Berlin Olympics and Leni Riefenstahl, Hitler's famous propaganda film-maker, were passionately attracted to each other.After he was awarded his medal in the stadium he grabbed her, tore open her blouse and kissed her breasts in front of the stadium spectators. After swimming champion Eleanor Holm was cast as female lead, the screenwriters rewrote their script to feature Holm's swimming prowess. 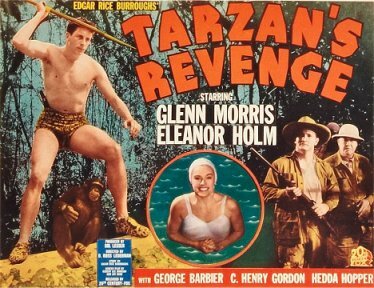 She became Tarzan's mate at the end of the film but her character was named Eleanor as it was feared that the public wouldn't accept one so well known as the Jane character. Well-known gossip columnist, Hedda Hopper, played Eleanor's mother. The film was shot on a low budget and did not fare well against the slick competition of Weissmuller films. 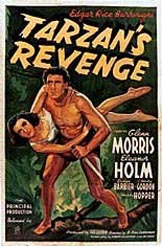 the film's failure compelled Morris to quit acting. 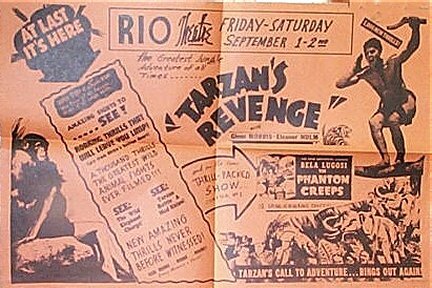 Time Magazine gave the film an unfavorable review: "This new Tarzan is lean, 6 ft. 2 in. 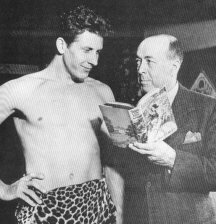 Glenn Morris, summoned to replace Johnny Weissmuller. . . He heroically combines the facial qualities of Broadway's Burgess Meredith and Hollywood's Harpo Marx, but has the acting ability of neither." Film Daily reported that "it suffers from repitition and a slow pace." Variety: "Even the youngsters, at which this type of production is aimed, will not be much impressed." Liberty Magazine called Eleanor Holm "one of the year's worst actresses." Sensitive to the scathing reviews, Morris became a successful insurance agent, enlisted in the Navy after Pearl Harbor, and was seriously wounded in combat. Eleanor Holm also gave up acting and resumed her swimming career in Billy Rose's "Aquacade" show. 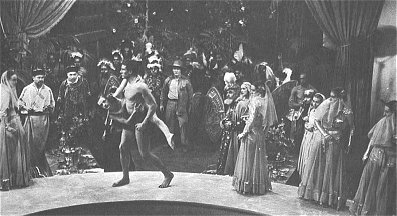 The Leni Riefenstahl-Tarzan Connection. Riefenstahl was Hitler's official propaganda film maker. She was assigned to record the 1936 Berlin Olympics on film. 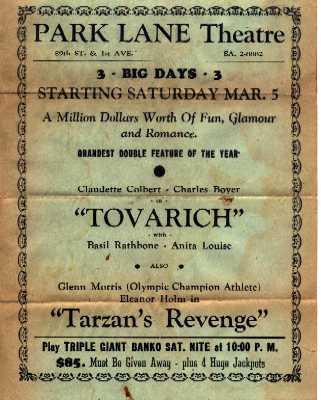 Once the prologue and opening ceremonies had been completed (nearly 1,900 feet of film stock), Leni spent the remainder of the games personally looking over select major events. Stars of track and field, like the famed Jesse Owens, were well documented in the filming as he took four gold metals and two world records at the games. 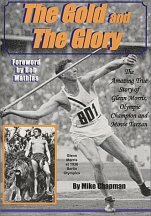 During this period, she had become romantically involved with Glenn Morris, who was an American decathlon gold medallist. The affair soon ended as he left Berlin directly after the games. 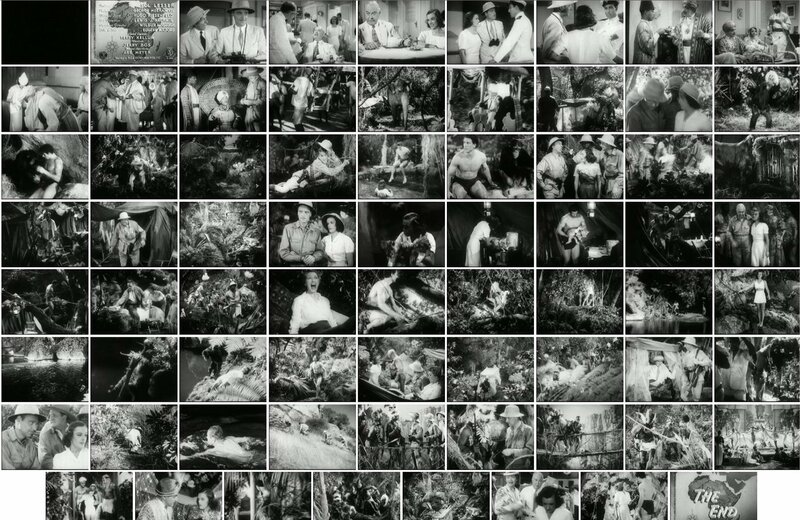 She edited the material into the film Olympia. Olympia, Part II: The Festival Of Beauty (1938 - 96 minutes) Riefenstahl's remarkable look at the XI Summer Olympiad continues as the cameras take in the events around the stadium and in the Olympic village, while following competition in swimming, equestrian, soccer, the Pentathlon and Decathlon and more, including the closing ceremonies. 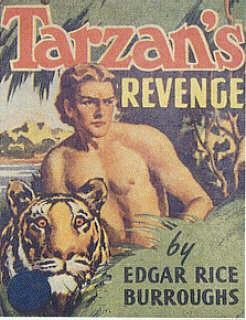 The Revenge of "Tarzan’s Revenge"